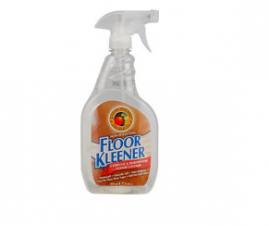 Earth Friendly Products Floor Kleener is specially developed for cleaning a variety of flooring. 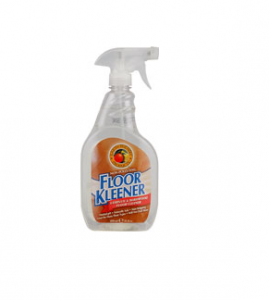 Ideal for removing dirt, spots of grease and scuffs. Can also be used for daily cleaning. Free Of: SLS. Disclaimer:These statements have not been evaluated by the FDA. These products are not intended to diagnose, treat, cure, or prevent any disease. Spray the surface to be cleaned and allow the cleaner to work for a few minutes. Then wipe clean with a mop or cloth. Ingredients: Water, ethanol (derived from corn), coconut based surfactant, vinegar, and lemon essential oil. Mild eye irritant. In case of accidental eye contact, rinse with water. If irritation develops, consult physician. Do not mix with chlorine type bleaches, chemicals or any other cleaners.